Propose your session for State of the Map 2017! In August the OpenStreetMap community will be coming together for our annual State of the Map conference, this year in Aizu-Wakamatsu, Japan. It is set to be an exciting three day event where mappers, programmers, practitioners, entrepreneurs, and policy makers will share their passion for OpenStreetMap. We invite you to submit your session proposals for the 2017 State of the Map, by Sunday, 2nd April 2017. You are encouraged to submit proposals for 20 minute talks, 5 minute lightning talks, and 75 minute workshops that will result in progress and excitement in the world of OpenStreetMap. Again, the deadline is Sunday, 2nd April 2017. In addition to our website, we are also delighted to introduce you to the logo for State of the Map 2017. Aizu-Wakamatsu is one of the historical cites in Tohoku district, Japan. As such the design contains elements inspired by the Tsuruga Castle, the circular emblems of feudal lords of Aizu Clan, and the letters “會津” that were used for Aizu during the Edo period. You can read more about the design here, and our thanks go to Shunnosuke Shimizu for the wonderful logo. This entry was posted in SotM-ru, State of the Map and tagged conference, SotM, State of the Map on February 16, 2017 by Ilya Zverev. The Core Systems Award went to Roland Olbricht for the Overpass API. The Innovation Award went to Manuel Roth and Lukas Martinelli for OSM2VectorTiles. The Influential Writing Award went to the WeeklyOSM Team for their weekly news blog. The Greatness in Mapping Award went to Martin Ždila for mapping a lot of hiking routes. The Expanding the Community Award went to Pascal Neis for his community maps. The Ulf Möller Memorial Award went to Frederik Ramm. All the nominees are doing important work for improving OpenStreetMap, making it better and more visible. We cannot thank you enough! Also thanks to everyone who voted and to these who spend their hours on the open maps. Please continue the good work, and prepare to nominate each other for the next awards. See you next year! This entry was posted in fun, State of the Map and tagged Awards, State of the Map on September 26, 2016 by Ilya Zverev. We’ve had plenty of State of the Map conferences in 2016. Japan, United States, France, and Italy all organized their national conferences. Czech Republic and Slovakia united to run their event together. In September it’s the time for the global State of the Map in Brussels, Belgium. And to end this great year of events, we are going to have two continental State of the Map conferences: in Asia and Latin America. Both conferences had their first editions in 2015 and will repeat their success this year. Both events are also offering free tickets for all attendees. The State of the Map Asia will take place in Manila, Philippines, from October 1st to 2nd. The call for presentations has already finished, and the program will be published soon. 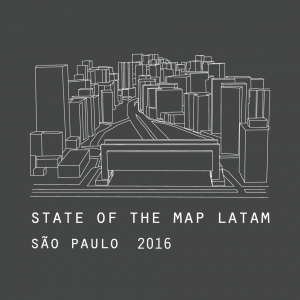 São Paulo, Brazil, will host the State of the Map Latam from November 25th to 27th. The call for talks, workshops and working groups is still open: submit yours before September 25th! The event accepts activities in English, Spanish and Portuguese. Book your place and go meet the mappers of Latin America and Asia. This entry was posted in Regional State of the Map conferences and tagged asia, conference, latin america, State of the Map on September 5, 2016 by Wille Marcel. 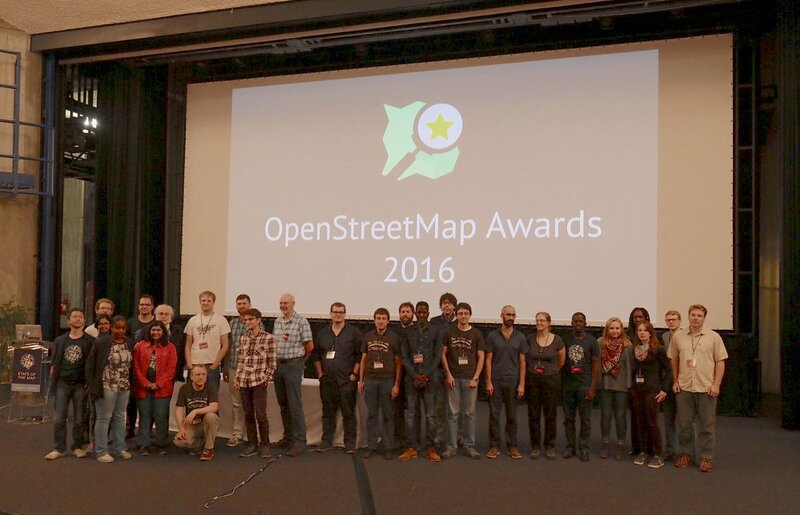 Announcing the OpenStreetMap Awards, awarded for the first time this September at the State of the Map 2016 conference in Brussels! This is a community award: nominees and winners are chosen by the community. We are now opening the Call for Nominees, to learn more about the amazing contributors to OpenStreetMap. The Awards strive to be a worldwide event for all OpenStreetMap members, including developers, mappers, community leaders, blog writers and everyone else. We need your help to find the best of OpenStreetMap globally. Add your nominees on the awards website. There are six categories: Core Systems, Innovation, Writing, Mapping, Community and the Ulf Möller Memorial Award. You can nominate up to ten people, groups or organizations for each category. Eligible are projects or works that were announced after August 1st, 2015, except for the Ulf Möller Award, for which everyone is eligible regardless of the time when they were active in the project. The call for nominees will close August 27th, and shortly after that we will start the second round, choosing the award recipients. Please nominate! This entry was posted in fun, State of the Map and tagged Awards, State of the Map, Ulf Möller on August 10, 2016 by Ilya Zverev. State of the Map 2016 is on. We have fixed a location. Here come the facts. The conference will be held on September 23 – 25, 2016 in the heart of Europe, Brussels, at Vrije Universiteit Brussel (VUB ‐ Pleinlaan 2, 1050 Elsene, Brussels). The Vrije Universiteit Brussel is the offshoot of the French-speaking Université Libre de Bruxelles (ULB), founded in 1834 by a Brussels lawyer with Flemish origins, Pierre-Théodore Verhaegen. He wanted to establish a university independent from state and church and where academic freedom would reign. Following years of tradition we held a logo competition for SotM 2016. We were delighted by the response and eventually settled on the eye-catching design below. Thanks to Veronica Semeco, who designed the winning logo, and Tatiana van Campenhout, who prepared the logo and website for launch. State of the Map provides a fantastic opportunity to meet the diverse OpenStreetMap community and to celebrate your achievements and look forward into the future. As an organising team we are delighted to be able to bring data contributors, data users and software developers together again and we look forward to meeting you all in Brussels. The SotM 2016 website has launched. There you will find more information about registration, call for proposals, the programme, social events and accommodations soon. Please also take the time to sign up to our email newsletter or follow us on twitter. This entry was posted in State of the Map and tagged conference, SotM, State of the Map on December 2, 2015 by Hrvoje Bogner. 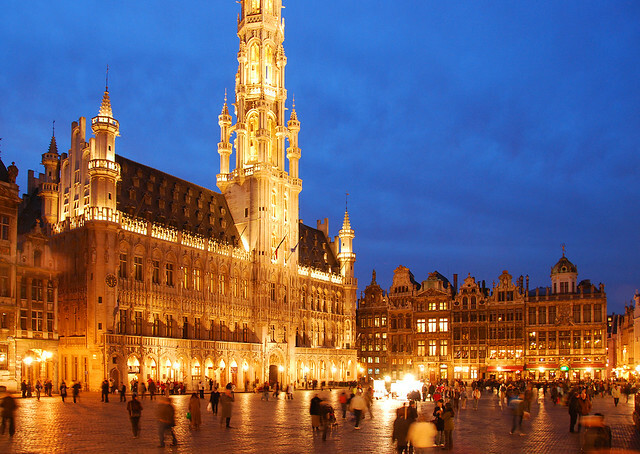 We are delighted to announce that State of the Map 2016 will be held in Brussels, Belgium. Thank you to all teams who submitted a proposal. The quality of the bids was fantastic and it was a pleasure reviewing them. We are very much looking forward to working with the Brussels team to organise a successful State of the Map 2016. See you in 2016 in Brussels! Can’t wait till 2016? 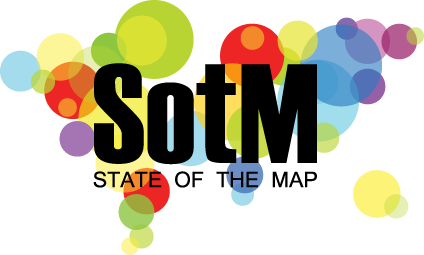 There are a number of upcoming OSM-centered conferences in 2015, including SotM-LatAm in Chile in September, and SotM-Scotland in October. There are also many webinars, mapping parties, coding events and socials planned for 2015. In what is turning out to be a busy 2015, these follow earlier events: SotM-FR in Brest, France; SotM-US at the UN’s New York headquarters in New York City; and HOT Summit in Washington DC. All these events are organised by the wider OpenStreetMap community. Thanks go to the relevant organising teams for hosting these events. This entry was posted in State of the Map and tagged conference, SotM, State of the Map on June 20, 2015 by Hrvoje Bogner. After the success of the global State of the Map 2014 conference realized last November in Buenos Aires, the Latin America OpenStreetMap community is organizing its first continental conference. 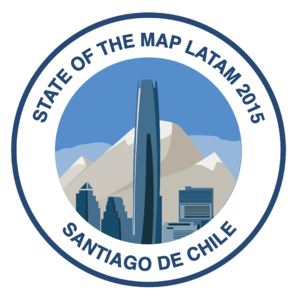 The State of the Map Latin America will take place in Santiago, Chile, on September 4th, 5th and 6th. The conference will gather the Latin American and global mappers to share community and entrepreneurial knowledge, techniques and experiences in OpenStreetMap. The official languages for the event are Spanish and Portuguese, with some talks in English as well. Santiago is the capital of Chile, its financial heart and biggest city, concentrating approximately 35% of the population of the country (6.5 million people). The event will take place on the days before the AbreLatam (September 7-8) and ConDatos (September 9-10), two of the biggest Open Data conferences in Latin America. The SOTM LatAm is organized by the Fundación OpenStreetMap Chile. This entry was posted in Regional State of the Map conferences and tagged conference, SotM, State of the Map on June 20, 2015 by Hrvoje Bogner. The state of the map working group are delighted to announce that the call for venues for 2016 is now open! This is much earlier than in previous years which means that you are free to propose any dates within 2016. If there is an exciting event going on in your city that OpenStreetMappers may be interested in, then why not align the conference to this. The State of the Map working group is here to help you. We’re an expanded team compared to the last few years and are looking forward to receiving your bids. In 2014 we were south of the equator in Buenos Aires, in 2016 we could be in your home country! So lets celebrate hitting 2 million registered users*, share experiences and ideas, and plan for the next 10 years of OSM. * don’t worry – you won’t have 2 million people turning up on your doorstep looking for somewhere to stay! This entry was posted in State of the Map and tagged conference, State of the Map on March 10, 2015 by Hrvoje Bogner.